Advantech has been busy developing new SATCOM L-band up and down converters, and they will have these and other products to share at the upcoming IBC 2018 in Amsterdam at their Booth 5.C34. 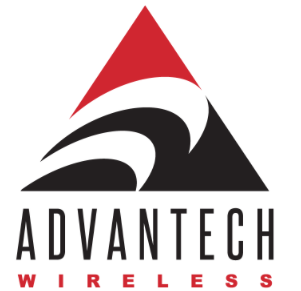 The new SATCOM L-Band up and down converters from Advantech are designed to translate the 720 +/- 200 MHz band to 800-1550 MHz with 100 KHz step size. This frequency translation provides a low cost alternative for using off-the-shelf, satellite based, block-up or block-down converters that usually include an L-band input or output within 800-1550 MHz. Cristi Damian, VP Business Development, explains the specific purpose of these converters that they reduce the high level of customization and the overall cost of the new generation of MEO (Medium Earth Orbit) and LEO (Low Earth Orbit) constellations of satellites, in particular those used for Earth imagery and weather forecasting. Both MEO and LEO satellite constellations are intended to provide a lower cost alternative to traditional GEO (Geostationary) satellite services and provide coverage where a GEO footprint is absent. For operators, much of the traditional satellite technology and advancements can be reused thereby avoiding additional high costs and risks of R&D. In an ideal world MEO and LEO system designers should take advantage of the latest GEO technological developments and pair them with advanced networking concepts to better serve their customers’ needs.